Since my girlfriend is a huge Disneyland fan, I was finally motivated to pick up this biography of the man behind the mouse. I chose this book rather than a smaller volume because I figured if I was going to read a biography of Walt Disney, I’d rather get all the story, rather than something which made me want to go read another book with all the story. And on that score, Gabler mostly delivers. It’s always a little awkward reading an extended sequence about the childhood of a famous man, since it’s rare that the childhood is truly interesting, but in Disney’s case, his youthful experiences seemed to inform his later life considerably. Gabler traces Disney’s childhood from his pastoral days in the small town of Marceline, to his teen years in Kansas City where he worked almost non-stop to help his hard-luck father keep food on the table. His two pleasures as a teen were drawing, and being a jokester and prankster. Following a turn with the Red Cross after World War I, he went into commercial art, where he soon was exposed to the nascent art of animation, and formed his own studio, which went under, and then he formed another one when he moved to California. Gabler’s theory is that Disney’s efforts were largely dedicated to two goals: First, to form a community of friends and like-minded individuals to replace the family and friends he’d left behind when he moved to California, and later, to recapture and recreate the idyllic feel of small town America at the turn of the century. So he was driven to form and maintain his animation studio, and later to turn it to produce films and TV shows about the American past as he saw it. Disney turned out to be at the right place at the right time, of course, innovating in the animation field when it was still brand new. But he was also a strong storytelling, idea man, and frequently had his finger on the pulse of popular culture, even if he didn’t really understand himself how he did it. But he was also a strong control freak, wanting the final word over everything his studio did, obsessively reviewing minute details and sending his staff back to the drawing board, and being unwilling to delegate authority, to the point of reorganizing the company whenever someone else started to accumulate too much power. To the extent that Disney could do it all himself, it worked, but in later years it became clear that much of the company’s success was due to the unheralded employees who worked on the features. Still, Gabler doesn’t stint on crediting Disney himself and his studio with being innovators in their time, being among the first to adopt color and sound in their cartoons, transforming the prevailing style of animation in the early 30s with “The Three Little Pigs”, turning their properties into marketing gold mines, and of course practically inventing the animated feature film in Snow White and the Seven Dwarfs, as well as being the first Hollywood studio to fully embrace television in the 1950s and to create the modern theme park in Disneyland. In this way, the book reads like an early history of animation in America. But Gabler also points out Disney’s flaws – and he had many, as a man and a manager, not least his tendency to lose interest in older projects when his studio was still on the hook for them, and turn to newer things while leaving his employees on their own without his guiding hand. Later in life he began to believe his own proverbial press releases, feeling he could change the world when in fact he was not quite an entertainer so much as the man behind the true entertainers (although he still did motivate some true innovations right up to his last years of life). The book reads fairly quickly, for all that it’s a large tome of a book. It feels well-balanced, although I have little to compare it to. Its biggest failing is that after World War II it goes into less depth than I’d have liked, such as the nuts and bolts of building Disneyland (the opening day was a disaster, but little is said about it), or the studio’s later films. Relatively little about the nature of Disney’s legacy is said, as the book ends shortly after his death. 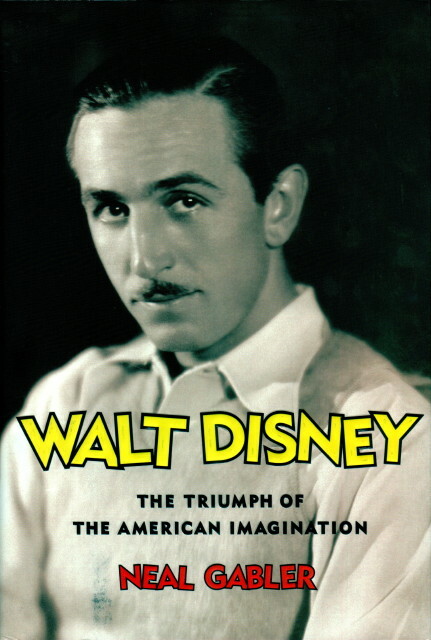 Nonetheless, it’s an insightful and informative book, and I’d recommend it to learn more about Walt Disney the man, as opposed to the myth behind the giant company. I’ve read The Final Solution. I was a bit disappointed.